Girl Scout Brownies and Juniors from numerous troops throughout the New Orleans Metro Area visit Ochsner campuses each year as part of Ochsner’s annual Brownies Science in Action! Day and Girl Scouts Science Discovery! Day, in conjunction with Girl Scouts Louisiana East. 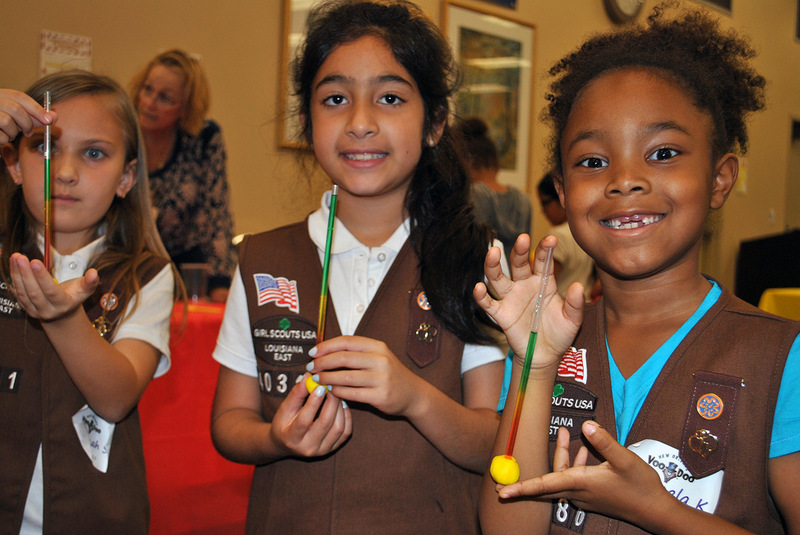 The girls perform experiments, with the help of Ochsner employee volunteers from throughout the system that align with Girl Scouts requirements and state learning standards. At the end of the day, each Girl Scout Brownie earns her Home Scientist Badge and each Girl Scout Junior earns her Science Discovery Patch. 60 girls from different troops will participate in 5 science experiments to earn their Home Scientist Badges. They will even visit the iLab Student Laboratory! Scientific topics covered will include mass, density, states of matter, atoms, static electricity, and chemistry - all with a fun, creative twist to keep the girls engaged. Each girl not only earned her badge but had unique products to take home with her. Registration Opens: Tuesday, September 4, 2018 at 8 a.m. Deadline: When maximum capacity is reached. If minimum attendance is not met, event will be canceled. Troop acceptance is on a first-come, first-served basis, and this event fills fast. For more information, please call the Ochsner Education Outreach Office at 504-842-1286 or email educationoutreach@ochsner.org.